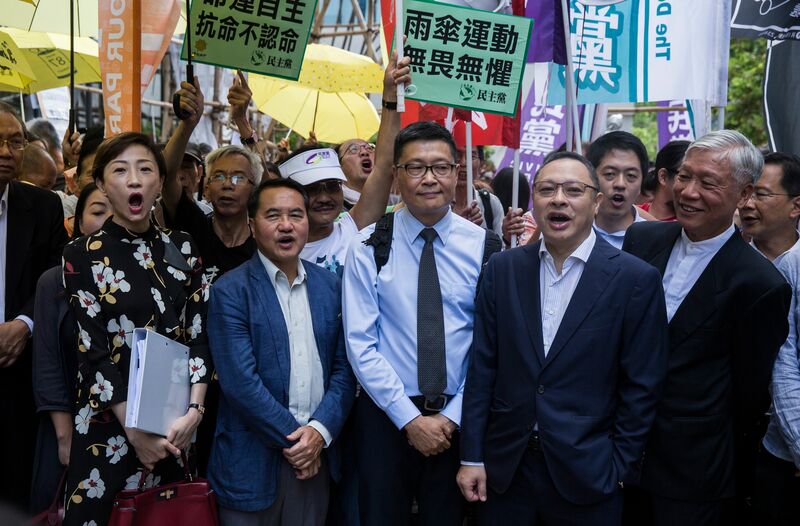 A Hong Kong court convicted Pastor Chu Yiu-ming and eight others involved in the 2014 pro-democracy Umbrella Movement of “conspiracy to commit public nuisance,” among other charges, for their participation in the Occupy Central protests against China’s proposal to allow universal suffrage, but only in voting for Beijing-approved candidates. Chu, facing a potential seven-year prison sentence, shared his testimony of coming to faith in Christ amid brutal hardships and his conviction to promote democracy out his respect for the divine dignity of human beings as made in the image of God. Human rights activists decried the verdicts, though Chu said he has no regrets in the actions he has taken to serve the poor, preach the Gospel, and stand for democracy. A Hong Kong pastor preached Christ to a courtroom Tuesday after being convicted of “conspiracy to commit public nuisance” for publicly protesting for democracy. A Hong Kong court convicted Chu Yiu-ming, lead pastor of Chai Wan Baptist Church, and eight other leaders of the 2014 pro-democracy Umbrella Movement of “conspiracy to commit public nuisance” and other charges related to Occupy Central public protests in which they urged the Chinese government to bring democracy to Hong Kong as promised, Christianity Today reported. Chu shared the story of his childhood and how he survived the “brutality of the land reform movement” in mainland China, endured homelessness and beatings by Triad gang members in Hong Kong after the death of his grandmother, and converted to Christianity while struggling with thoughts of suicide after being diagnosed with a rheumatic heart disease. That faith in Christ, inspired by the kindness of an old woman who offered him a job at a local school and a Christian teacher whom he met there, led him to serve at the church in Chai Wan. He worked with drug addicts, homeless people, dissidents who needed aid after the Tiananmen Square massacre and gang members, driven by a belief that emphasized the dignity of all humans as created in the image of God, caring for the poor and freedom. Chu said he and his fellow ministers strive for democracy because of those beliefs. Maya Wang, China researcher for Human Rights Watch, also denounced the guilty verdicts as a “slap in the face” to the people of Hong Kong. “It’s a slap in the face for the hundreds of thousands of people who went on the streets to protest peacefully for the government to fulfill its promises to bring democracy to Hong Kong,” Wang said according to Los Angeles Times. Sentencing for Chu and the others is scheduled for April 24. Two Occupy Central co-founders, Benny Tai and Chan Kin-man, asked that the court spare Chu any jail time. Chu, for his part, faced his verdict with unflinching support for the faith and principles by which he has led his life.